A “liquid facelift” is a non-surgical option for facial rejuvenation. The objective is to restore lost volume, correct asymmetries, relax muscles that pull down and restore more youthful contours to the face. 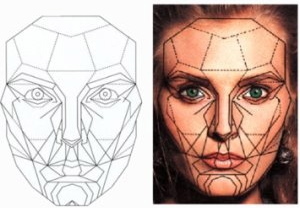 Ideally the apex (or high point) of the face is the lateral cheek below the lateral brow. We tend to lose this volume as our facial muscles, fat pads and skeletal structures shrink and shift underneath the skin. EVERY person has an individual plan of care with a unique set of concerns. After discussing these concerns with your provider and hearing their expert opinion you can prioritize what areas to treat first and move forward from there based on your budget. Frequently we recommend starting with the upper and mid-face as once these areas have received volume restoration the lower areas are improved as well. For instance, I frequently have patients come in concerned with their nasolabial folds (from the nose to the mouth) or their oral commissures and marionette lines. (from the side of the mouth down along the lateral chin) These areas can see marked improvement by building the volume loss in the cheeks and/or temples. It is after filling temples and cheeks that we can fine tune the other areas. The mid-face has become increasingly popular to fill as the benefits go beyond the cheek alone. Treating muscles in the upper face with Botox or Dysport can also create lifting when the correct muscles are injected. For instance, a brow lift can be achieved by relaxing the muscle that pulls down on the lateral brow . At the same time muscles which help to lift our features (elevator muscles like the Frontalis muscle/forehead) such as our brows need to be treated conservatively to avoid the brows and lids looking heavy. We can also turn up the downturned corners of the mouth which can make us look unhappy or mad. This can be done with a combination of filler and treating depressor muscles which pull down on the lateral mouth with Botox. Definition along the jaw line and lifting can be acheaved with what is called a Nefertiti lift. We inject the platysmal muscle, which pulls down on the lower face along the mandible/jaw bone, with Botox. As a provider I find restoring mid-face volume to be one of the most satisfying treatments. Patients get a big bang for their buck with cheek augmentation with filler. We gravitate towards Voluma (my favorite), Radiesse and Sculptra to achieve mid-face volume as these are longer lasting and produce more volume. Fillers tend to last longer in the upper and mid-face as we tend not to have as much mobility in these areas as we do in the lower face. Patients can maintain correction for up to two years in mid and upper face with filler whereas the lower face may need re-correction at 8-12 months. Using these modalities to restore the appearance of the face is a great option with minimal downtime. A patient can expect to re-touch the filler treatment every 8-12 months as needed. Sometimes the touch ups are minimal and help the remaining filler to last longer. Botox touch ups are more frequent at 3-4 month intervals. Rarely does a patient need to make as much of an investment at follow up appointments as they do at the original treatment. Pain is minimal during the treatments as topical numbing is typically used and the products have Lidocaine mixed in.